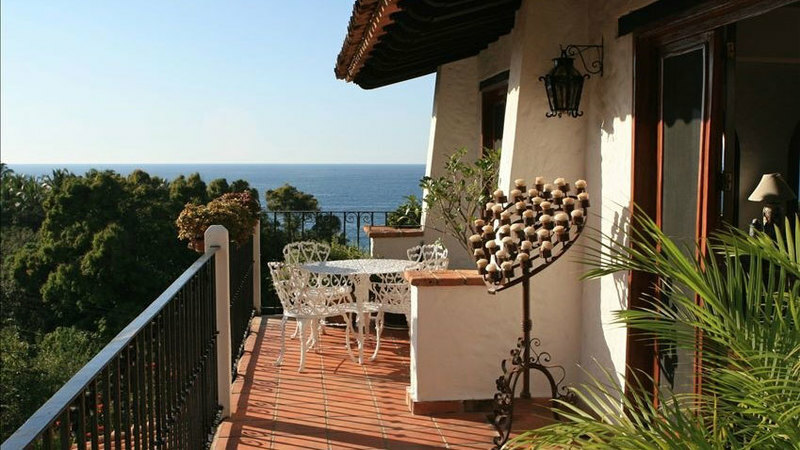 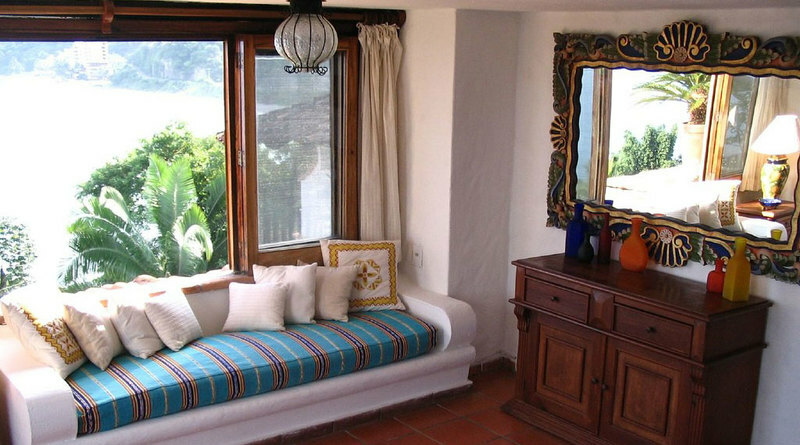 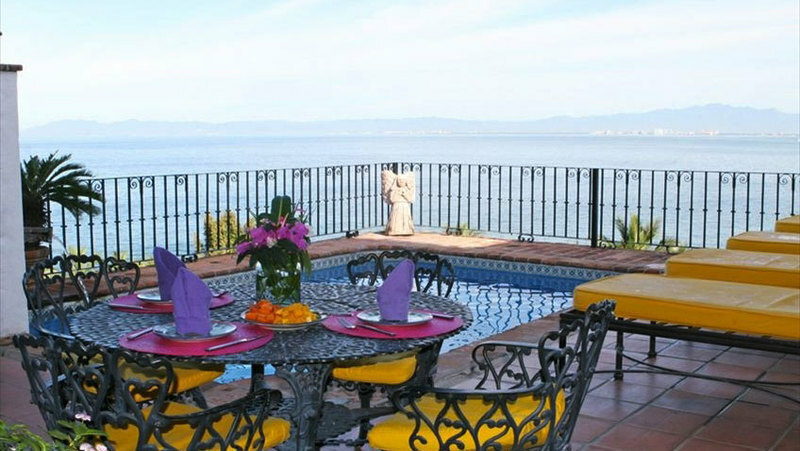 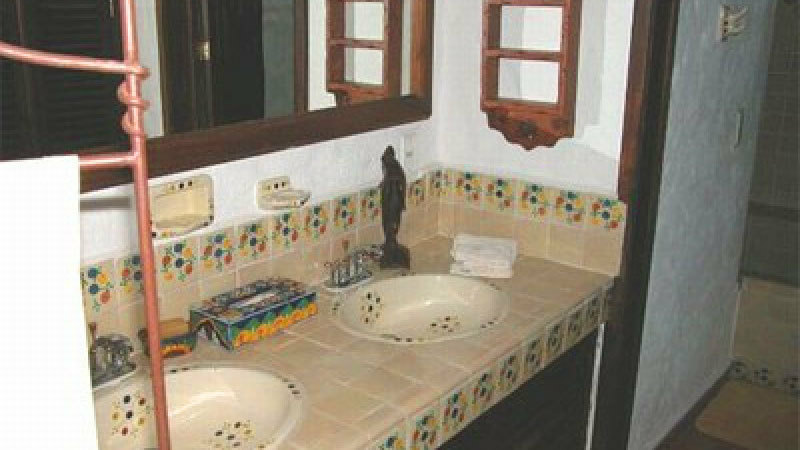 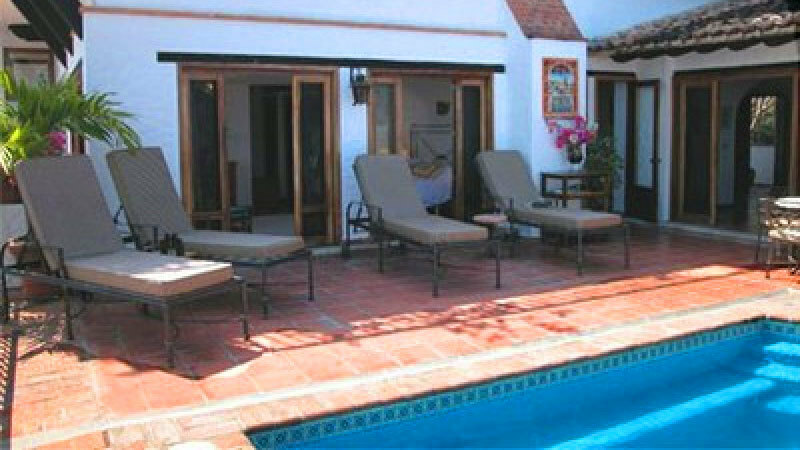 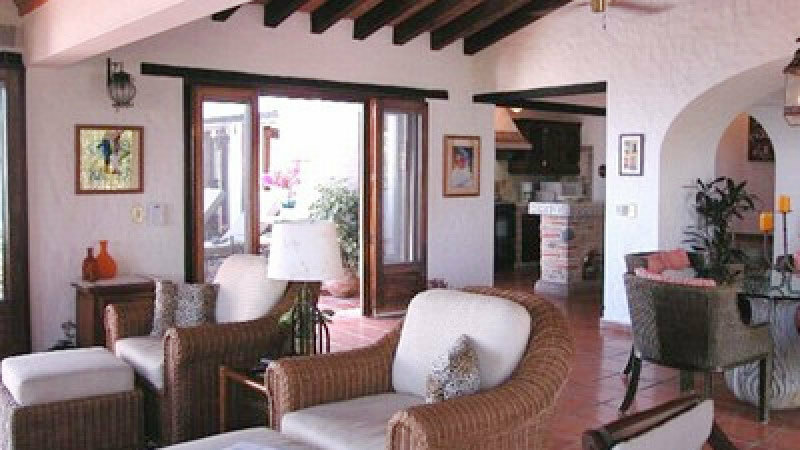 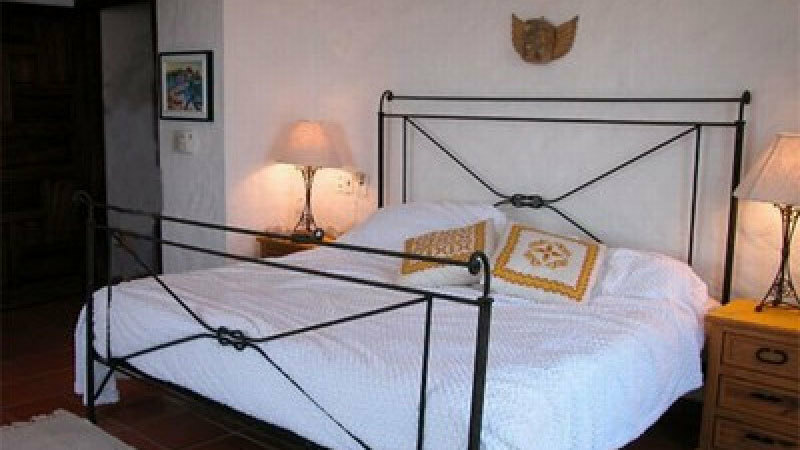 This lovely two-bedroom villa is reminiscent of Old World Mexico with all modern conveniences. 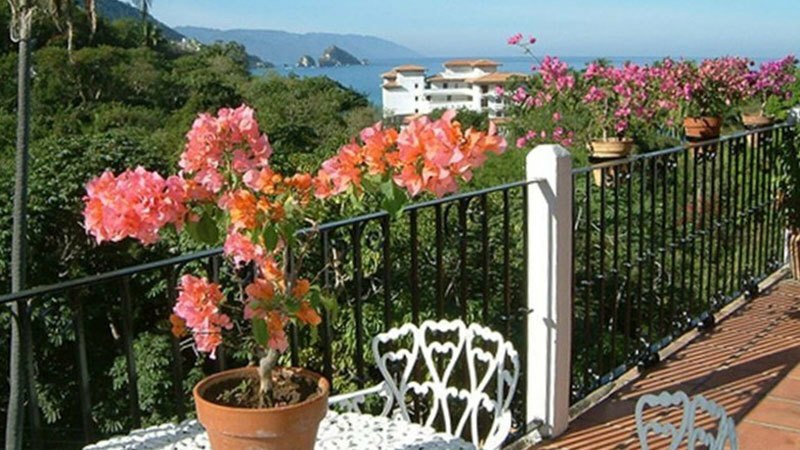 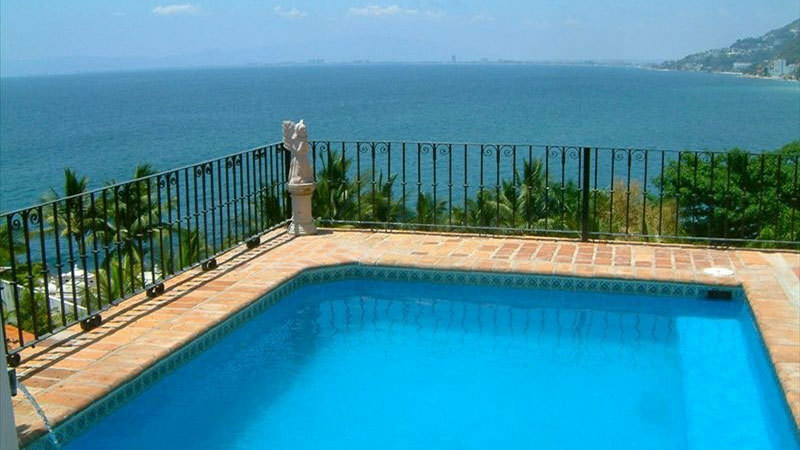 Located in a small, exclusive, gated villa community, you are just ten minutes from the town of Puerto Vallarta, with all its shopping, restaurants, and sightseeing. 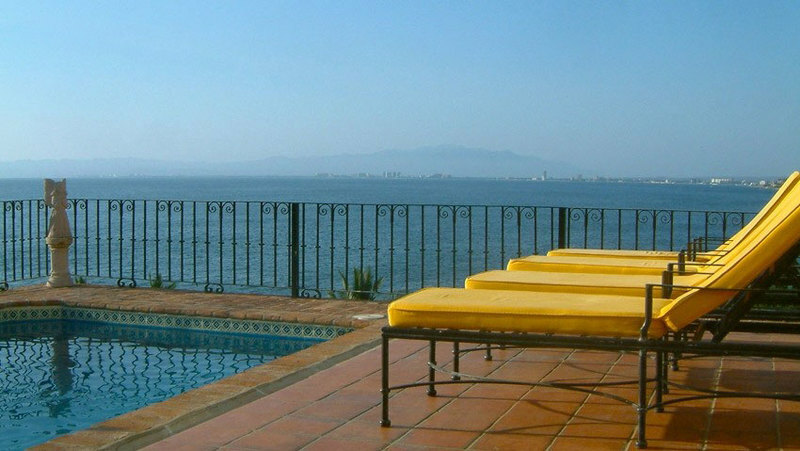 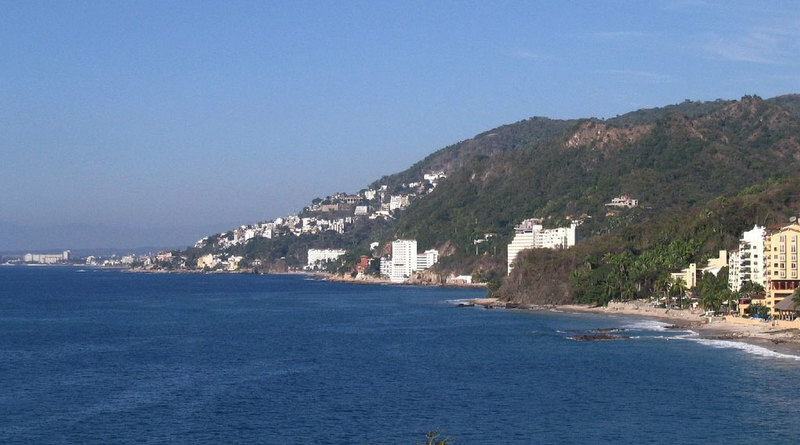 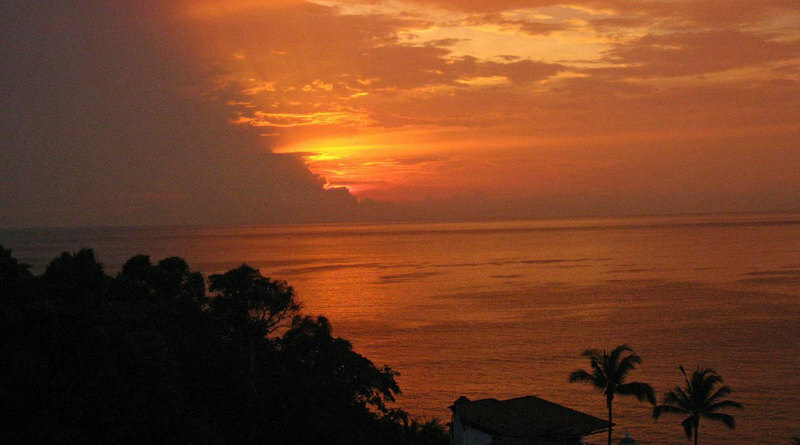 Enjoy the endless bounty of Banderas Bay by fishing, snorkeling or diving, boating, sailing, parasailing, or jet skiing. 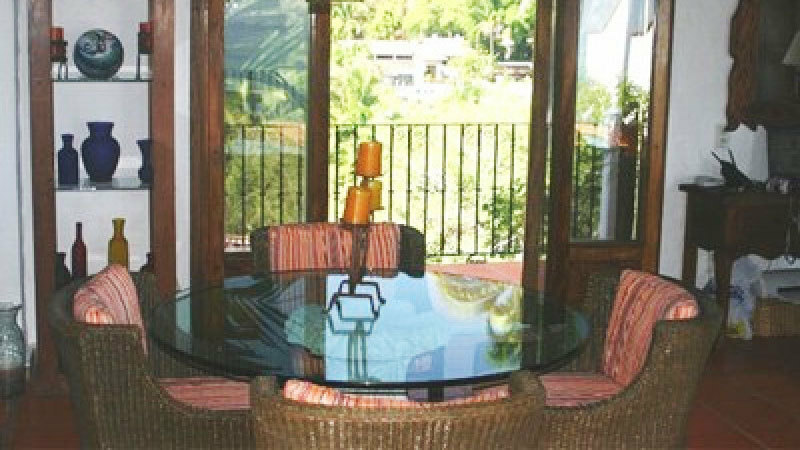 Also available in the area are golf courses, hiking, and horseback riding. 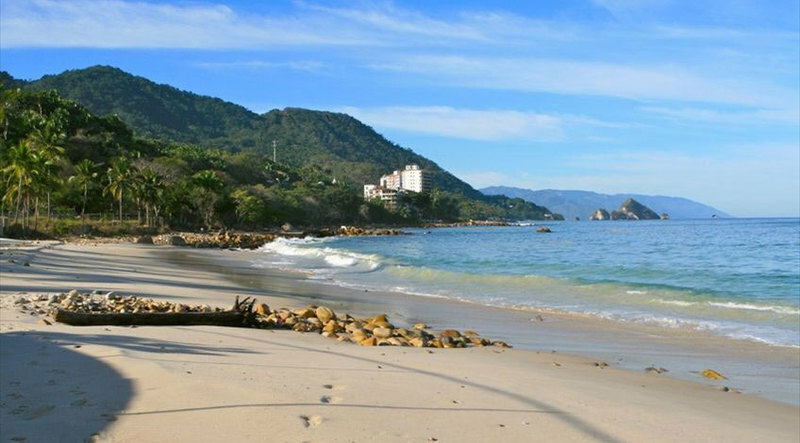 Or you can simply enjoy the secluded beach with its white sand, gentle surf, and swaying palm trees just a five-minute walk down the hill, or drive right up to it with your picnic lunch and cooler to bask in the welcoming warmth. 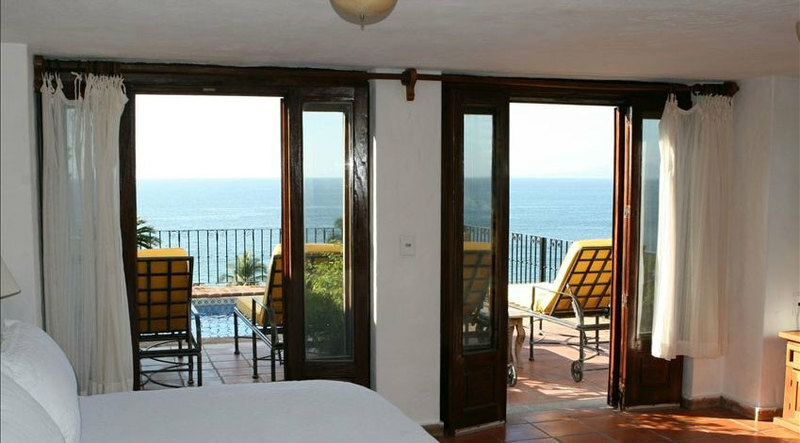 There are over 3000 square feet of indoor/outdoor living area, with your own private pool, spacious patio, two master bedroom suites, a large living room, dining room and kitchen. 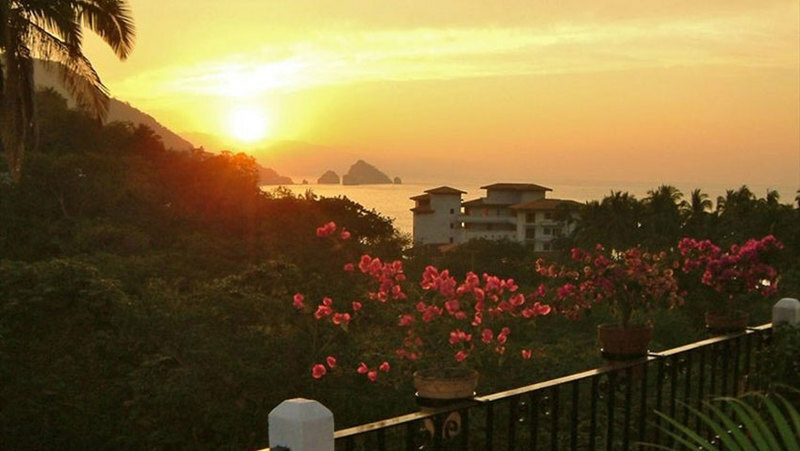 Experience warm and sunny days with sensational sunsets at evening time over the shimmering blue Pacific Ocean. 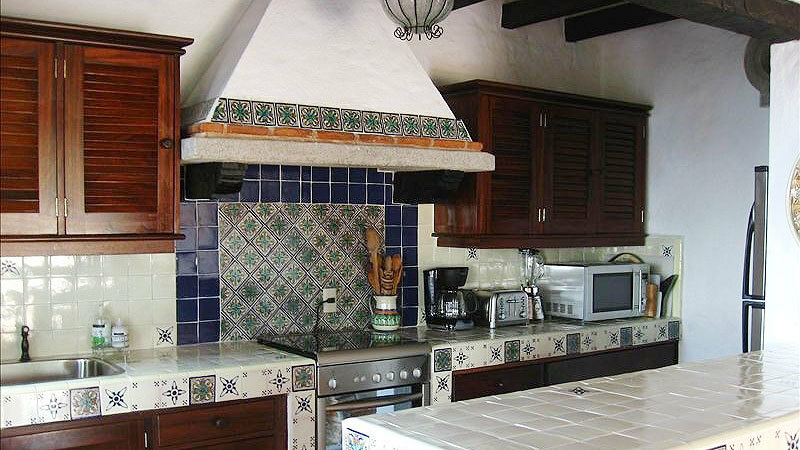 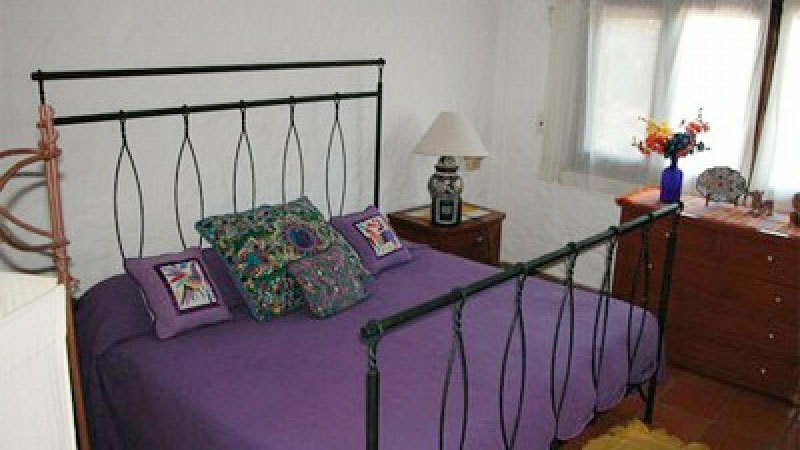 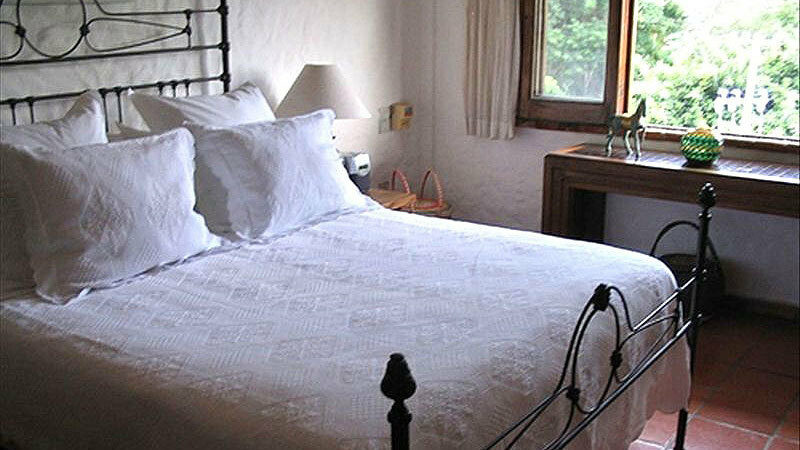 The villa comes with a housekeeper to ensure everything runs smoothly, and a personal cook is available on request.